For the last decade, I’ve dreamt of living in harmony with nature in a community of colorful, beautiful, authentic humans who support each other wholeheartedly. I have also always dreamt of living on the ocean, free to swim and heal with the sea. I like to believe that finding such a place in reality was some sort of divine manifestation. Or perhaps it was my intuition guiding me from a younger age. Regardless of what brought me here, I know I am now home. Rewind to October 2016… back home at my mom’s farm in St. Eugene, Canada after almost a year of travelling across North America, living out of my Honda Civic. When I arrived home, I was not quite as vibrant as when I had left, but I certainly carried more self-awareness, many stories, and an abundance of lessons I hope I’ve learnt from. I found a job at an organic brewery and started working long hours, saving all my money for future travel adventures. 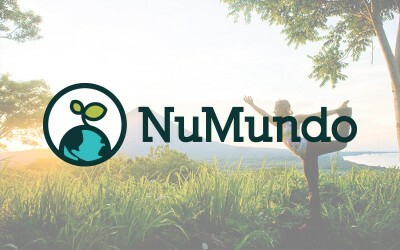 I discovered the NuMundo platform and began looking for a next step that resonated. 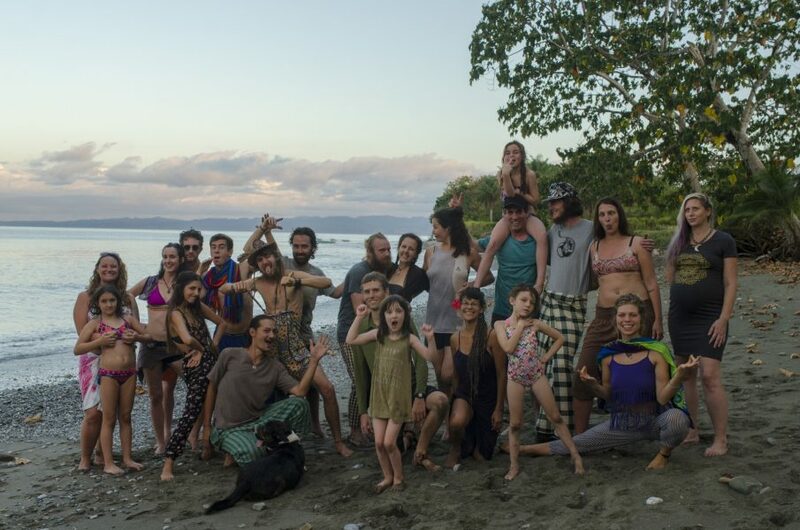 I planned to fly to Costa Rica for Envision Festival after Cosmic Convergence, so finding an opportunity in Costa Rica made the most sense. After looking at a few impact centers, I came across Finca Morpho. Not only were they on the ocean, but also in the secondmost biodiverse place on earth. It was in perfect alignment. Everything they work towards spoke to my soul, so I booked. A couple days later, I got accepted to their massage work-trade position for February, 2017. After three months slaving away at the brewery, I thankfully finished my last day. Despite all the fears I had about travelling alone in Central America, I felt empowered as I began my journey in Mexico. It was as if I was finding myself through transit flow once again. And let me tell you, nothing helps you get in touch with yourself like travelling alone in a country where you don’t speak the language! Life came back into my being. I was connecting authentically with people again and sharing my musical medicine openly. I felt as though I had stepped out of stagnation and back into the divine flow of life. I then bussed my way down to Guatemala to volunteer at Cosmic Convergence. Little did I know then that I was about to meet Ticon, one of the founding root members of Finca Morpho. We connected instantly. A real soul brother, you know? He got me even more excited than I had initially been about working on the farm and extended an invitation for my soul sister and I to stay even longer then we had planned. Well… I certainly stayed longer than anticipated. Soon after meeting Ticon, I was soaring through the sky to San Jose International Airport, then venturing South to Puerto Jimenez in the OSA Peninsula. There, my soul sister and I made some friends who kindly gave us a ride to Finca Morpho. The moment I stepped out of the car at the farm, I felt a deep sense of remembering—as if I was home. 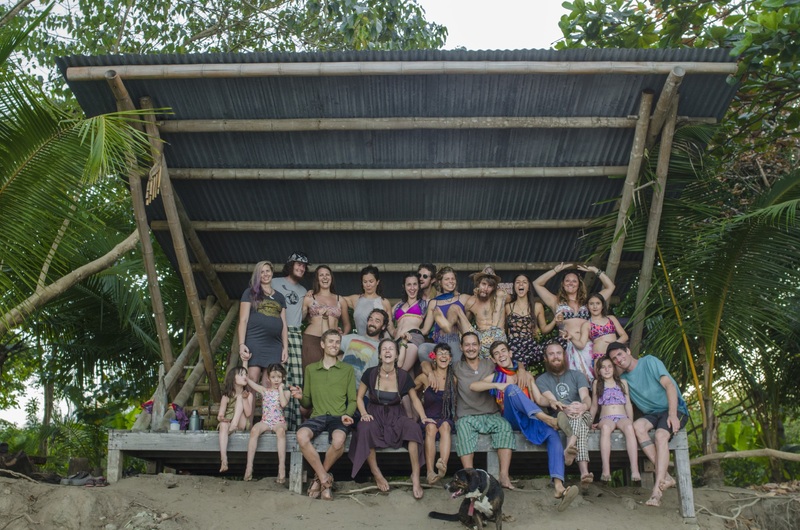 I arrived during a time where the members were gone on a permaculture-related trip, and the only people on the farm were a local Tico who worked for the farm and a volunteer he had brought there. It was such a blessing to slowly integrate ourselves into the finca and connect with the land before our work-trade began. Four days later, it was time for the core members to return home. As day transitioned into night, I found myself with anticipation bubbling in my tummy. I felt nervous, but I couldn’t understand why. I usually didn’t feel anxious about meeting new people. I believe my body was trying to tell me that I was about to meet Joshua, one of the root members of Finca Morpho. Instantly, his sapphire blue eyes drew me in, and we were in mutual love for one another within days. He is still my partner to this day. Not only did I find a more-than-worthy magical partner; I also found a loving, supportive community of heart-centered people who had a common goal in mind. We were all trying to positively transform ourselves to create a ripple effect and help heal our Mother Earth. My Partner Josh and I. 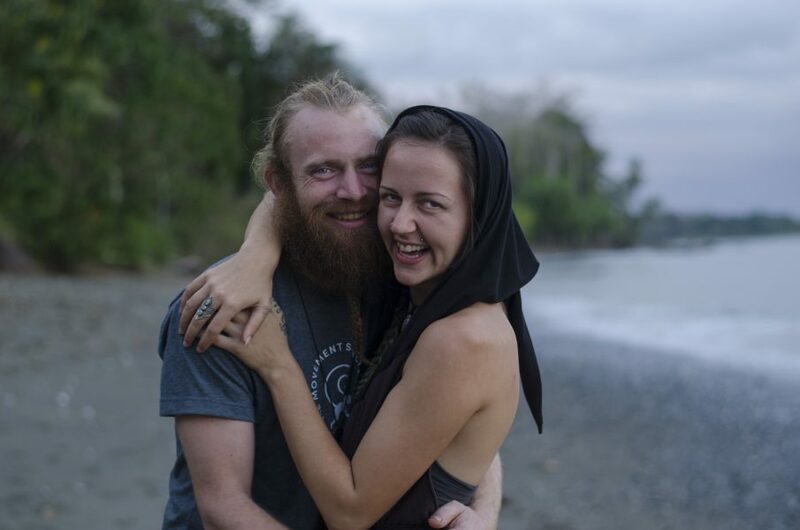 Shortly after arriving, I learnt that Finca Morpho is actually Numundo’s home base in Costa Rica—and they would be having a two-week retreat exactly when I had originally booked through their platform to be there. 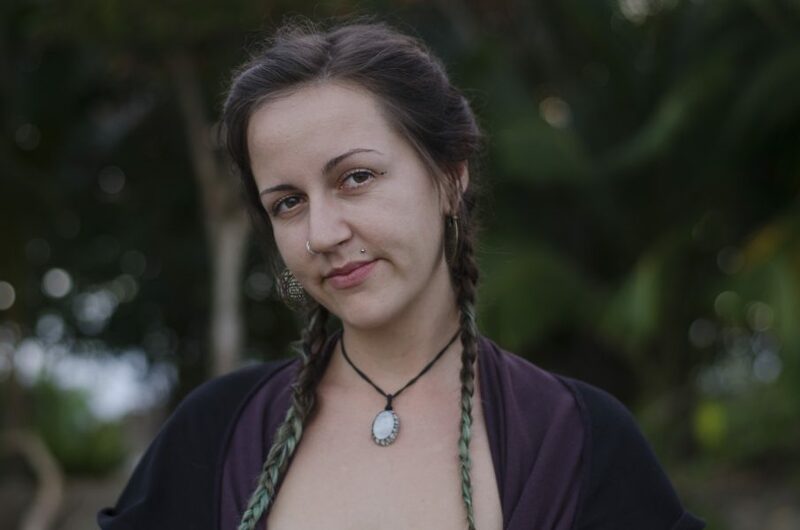 I was ecstatic at the truly cosmic opportunity to give healing sessions to the people who created a network connecting dreamers like me to intentional communities like Finca Morpho. While on the finca, I heard about Nuseed, an educational leadership gathering produced by Numundo. I was able to offer my massage services in exchange for a ticket. This gathering provided me with a vast amount of new knowledge, along with so much empowerment and courage to do the work I believe I was sent here to do. After over a year of living here at The Morph, I have learned so many new skills and understood how to focus my energy more precisely. A few months in, I observed that my energies were needed in other areas of the finca, so I directed them accordingly. I came for a massage work-trade, then flowed my way into becoming Hospitality Pillar/Resident Musician. I have also been working closely with our production team of inspiring, wisdom-filled individuals here at the farm and beyond. 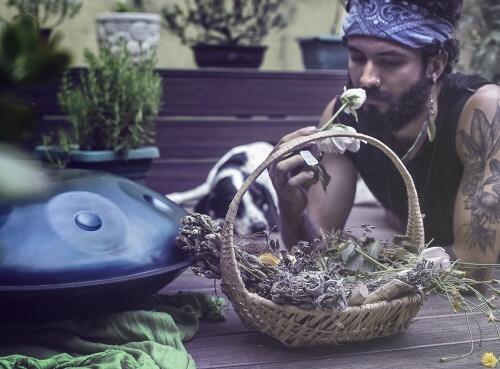 Joshua, Ticon, and I all underwent such a transformational experience at Nuseed that we also started planting seeds for a gathering of our own at Finca Morpho with a similar intention, just morphed a little to fit our own collective co-creation. In the coming days we are excited to produce… Metamorphosis Gathering! Once I learnt this definition, I saw and felt the profound transformation I underwent here with so much more clarity. Words are powerful, so let us practice impeccability and authenticity in all of our interactions and communications. Metamorphosis Gathering at Finca Morpho.